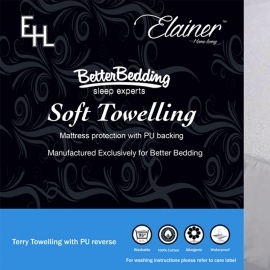 The Elainer Home Living absorbent towelling mattress and pillow protector with PU backing inhibits the growth of a wide range of bacteria and is fully waterproof from liquid spills. 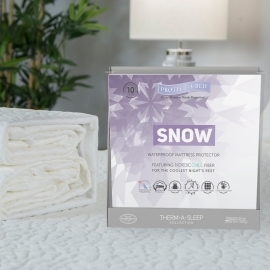 Waterproof but breathable, towelling is delicate on the skin. 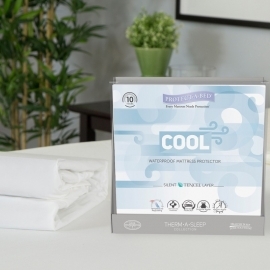 This product will assist in creating a fresher and more hygenic sleeping environment. 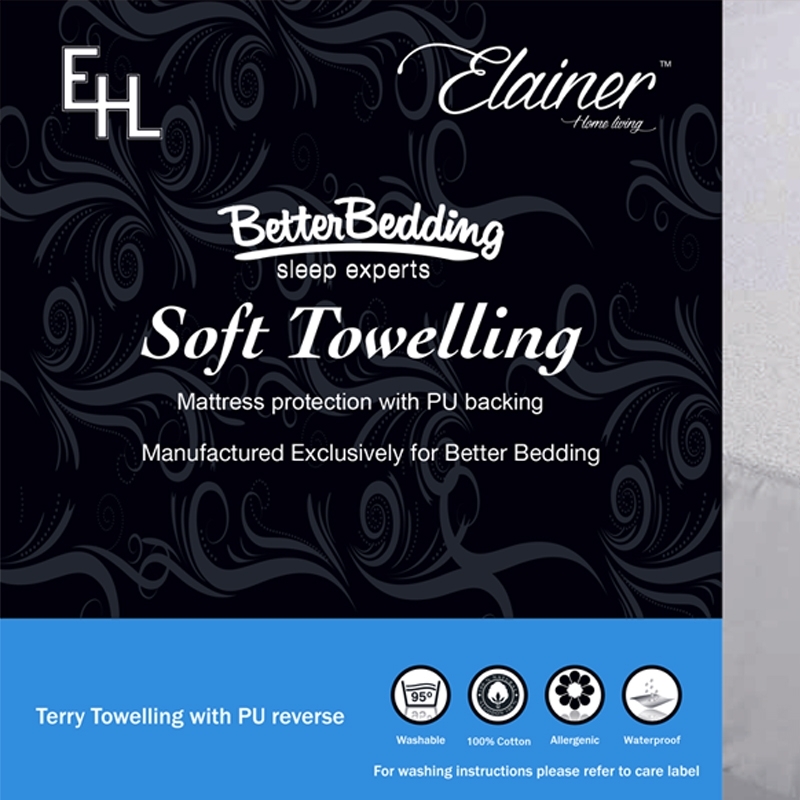 PU Mattress and pillow protection is widely used in hospitals and care homes throughout Ireland & the UK. It prevents seeping by the PU backing and is much more comfortable than other inferior backed protectors which are not breathable.